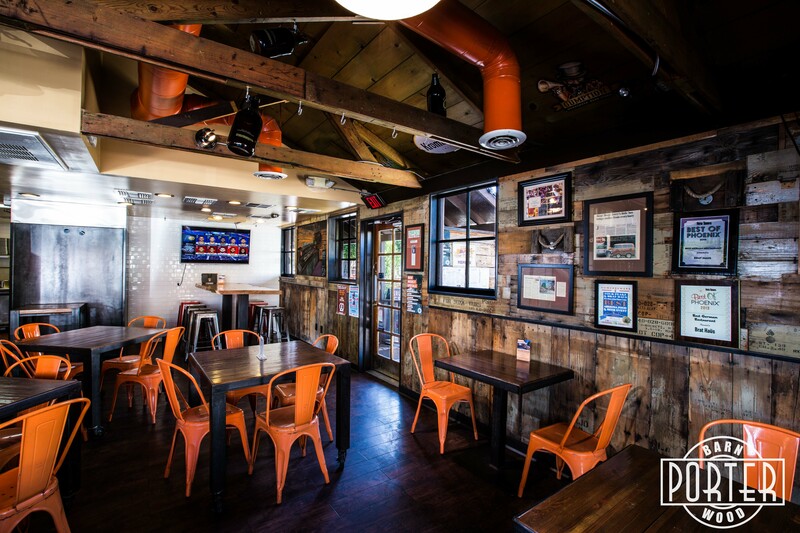 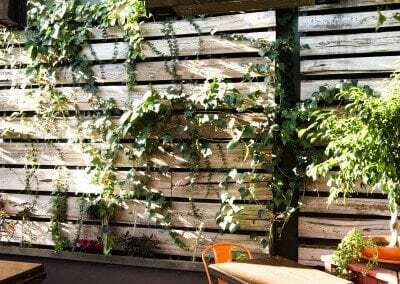 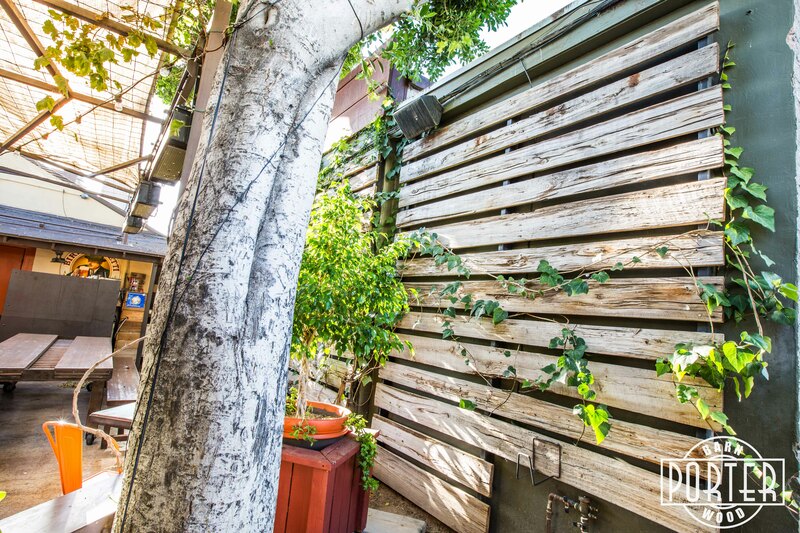 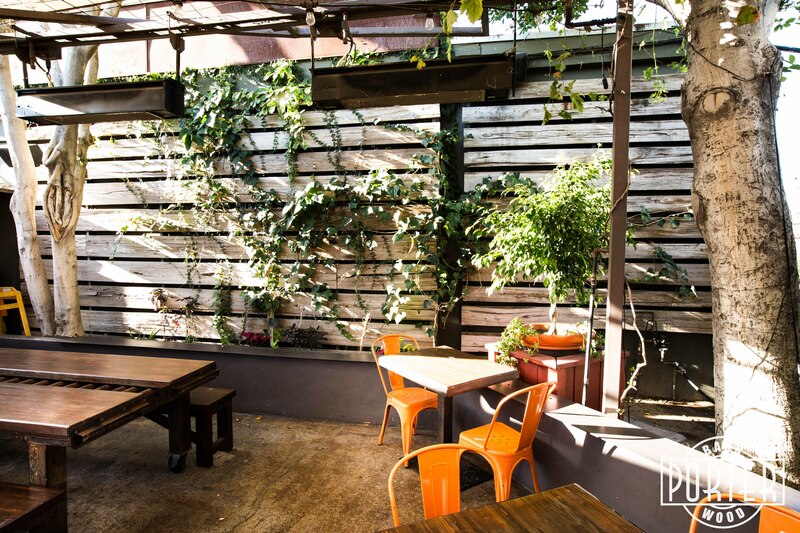 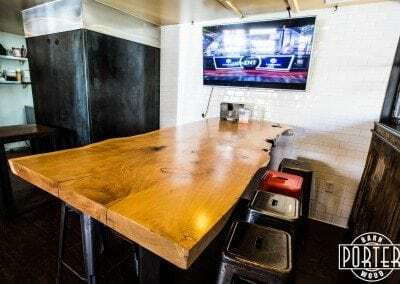 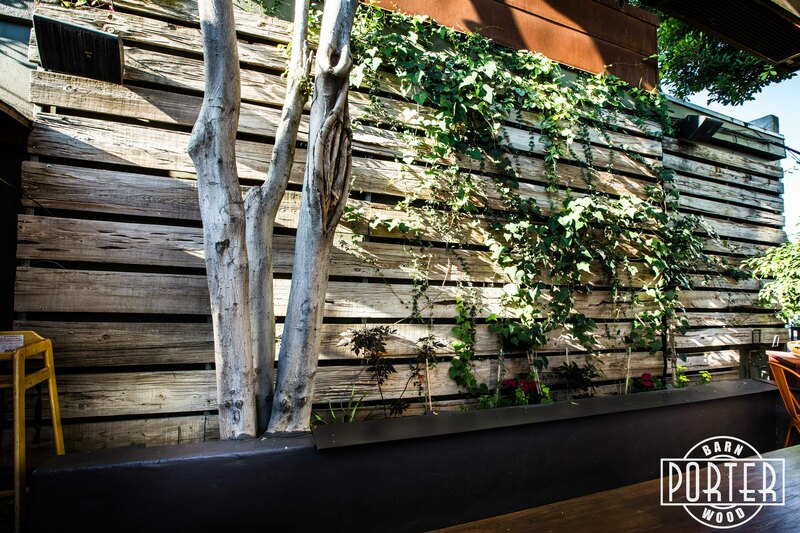 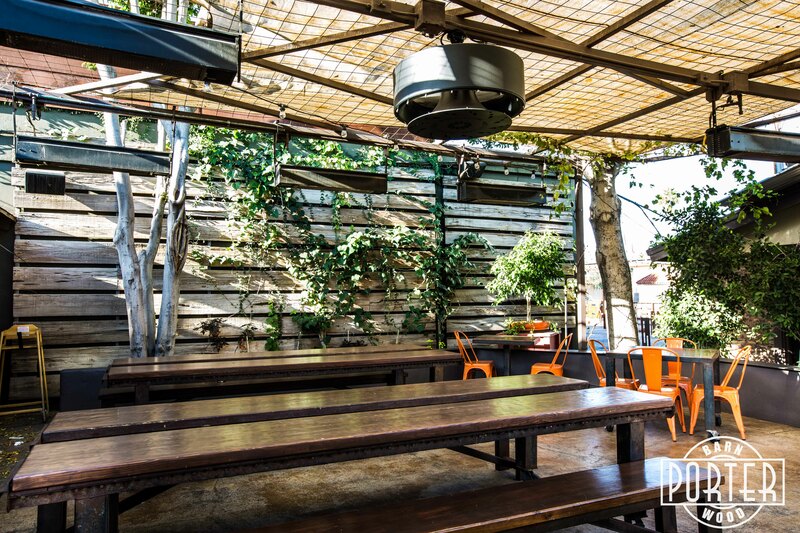 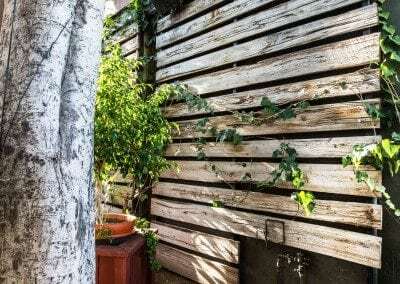 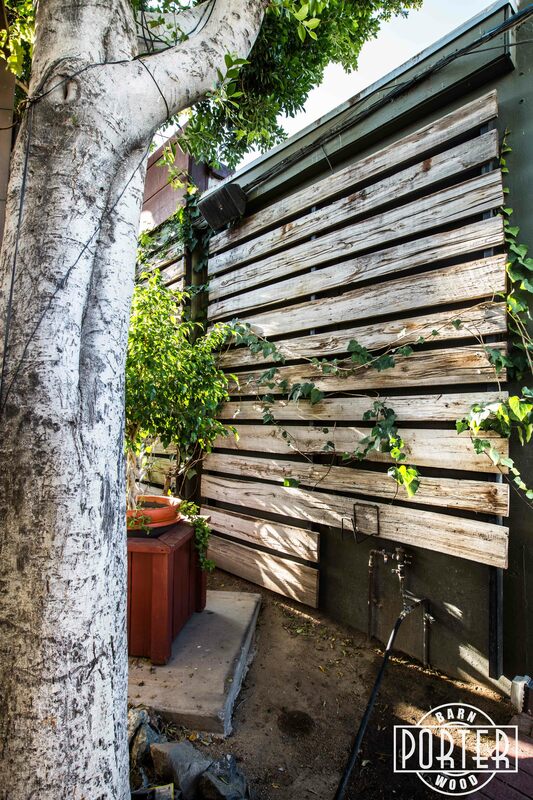 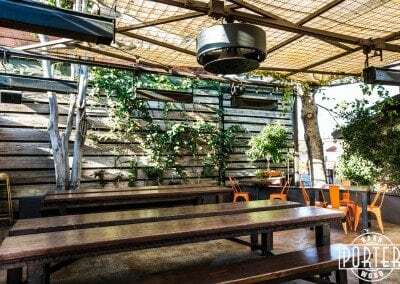 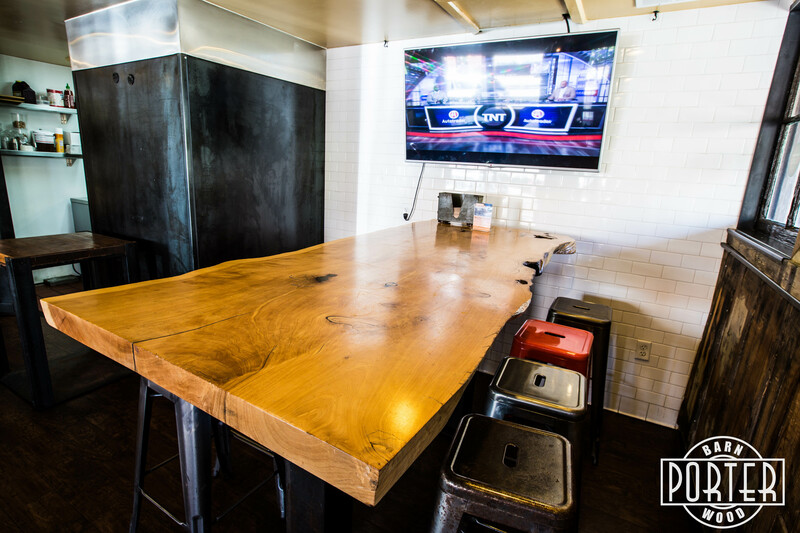 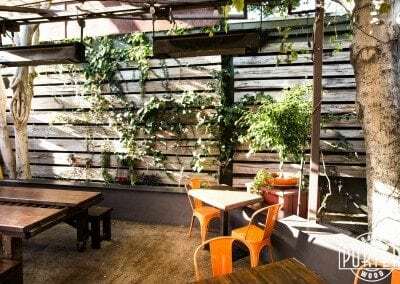 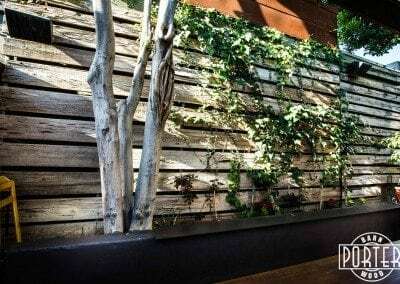 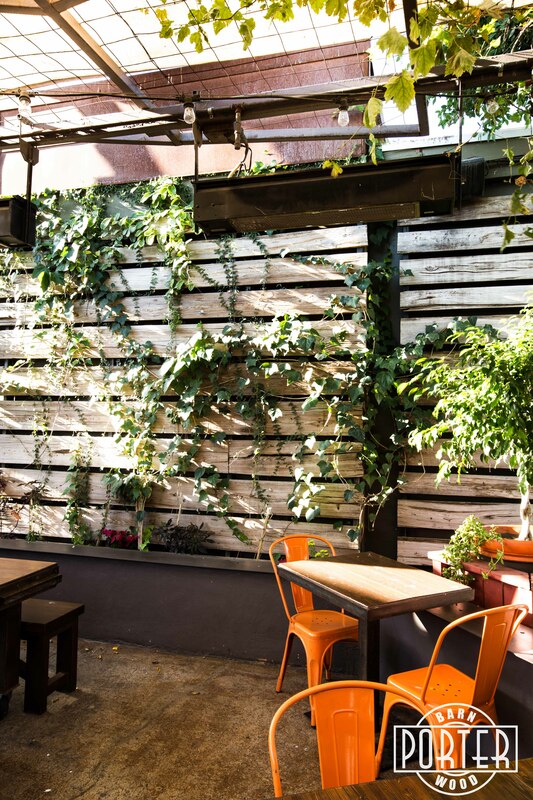 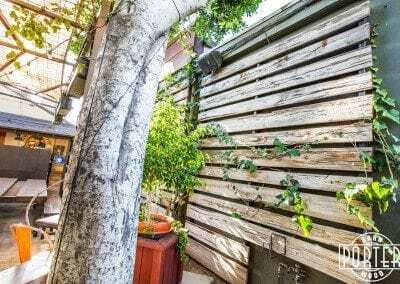 Brat Haus wanted to create an inviting reclaimed look on their patio space so they utilized some of our mushroom wood materials to make it happen. 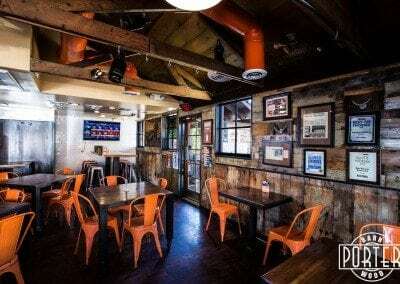 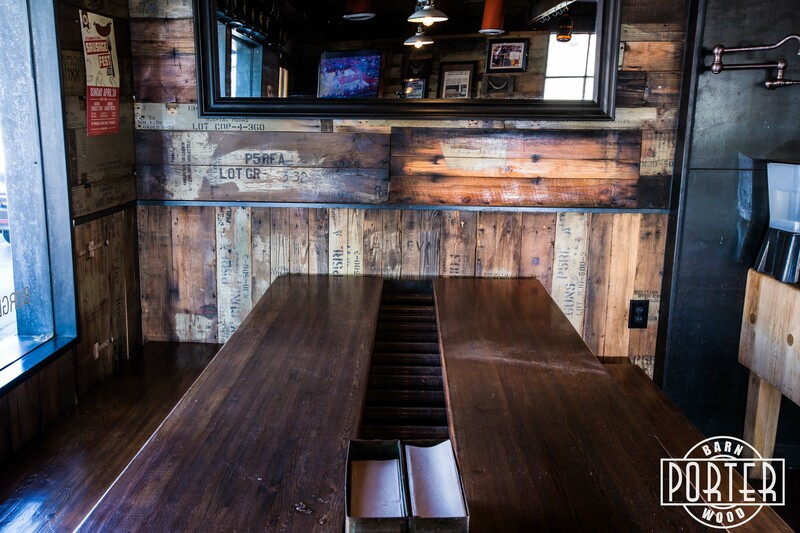 Inside the restaurant you’ll see some familiar ammo boxes and live edge materials as well. 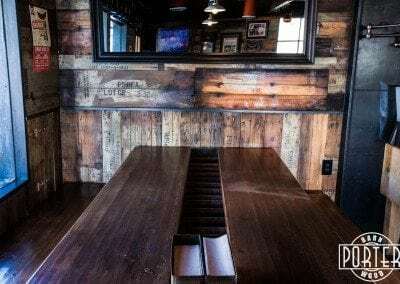 They did a great job with the space!